Santasa IVF and Endosurgery Institute is a pioneering health care organization With a mission to make international standard healthcare affordable to our women, Santasa was established in Hassan in the year 2008 under the guidance of Dr. Sowmya Dinesh. Its main domains of care include Infertility, Advanced Hysteroscopic and Laparoscopic surgeries, Well woman and well couple health concepts. 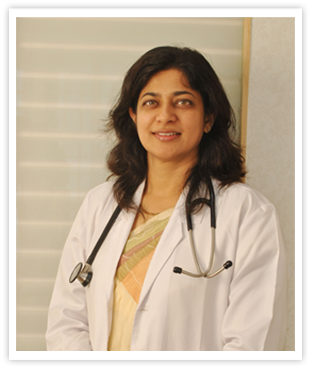 Dr Sowmya Dinesh and her team, experts in Gynaecology, Endoscopy and Embryology, aim at fulfilling the dreams of childless couple by providing world class advanced fertility techniques. It is the goal of Santasa team to provide the latest women's healthcare innovations to address common health concerns like infertility, endometriosis, pelvic pain, sexual dysfunctions & perimenopausal problems. Santasa IVF and Endosurgery Institute is a pioneering health care organization with a mission to make international standard healthcare affordable in the field of reproductive health. We are proud to offer our patients clinical excellence, cost-effective treatment options, personalized and compassionate care. At Santasa, patients will never be alone in their path to parenthood. From the initial testing and diagnosis through the most advanced treatment options, our team is committed to working together with each patient, to find the most effective solution to their family building challenges. Thousands of infertile couple have realized their dream of parenthood at Santasa. Every year, a free Infertility check up, scanning and consultation camp is being held and so far thousands of couple have been served by this charitable work. Provides an entire range of ART (Advanced reproductive techniques) including intrauterine insemination (IUI), IVF, ICSI, embryo freezing, egg donation, sperm donation, embryo donation & surrogacy. Well equipped with advanced gynaec laparoscopy unit, Santasa provides highly skilled Hysteroscopic and laparoscopic surgeries. The various health concerns of women & couple like marital and sexual problems, issues around menopause, screening and treatment for gynaec cancers are taken care here. Being Unique as the tertiary centre in a non metro city Santasa emerges as the Dream centre aiming to make excellent reproductive Health care affordable and strives to bring you the best technology available.